The Crisis Intervention Team (CIT) program was developed in 1988 in response to a tragic incident. In 1987, police officers in Memphis, Tennessee fatally shot a suicidal person who was cutting himself with a knife and who approached the officers while holding the knife. There was a public outcry after the shooting. As a result, a partnership was established between the Memphis Police Department and the National Alliance on Mental Illness (NAMI). The mission of the Crisis Intervention Team is to use understanding and skills gained through specific training to identify and provide the most effective and compassionate response possible to police situations involving people experiencing a mental health crisis. Due to the success of the CIT Program, a shorter version was implemented—Crisis Intervention Partner (CIP). 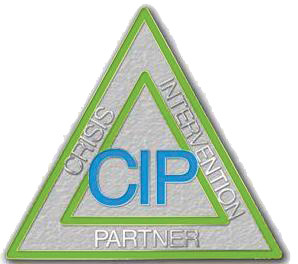 CIP is offered to anyone working with individuals with a mental illness, i.e. social workers, teachers, emergency room technicians, and correctional officers among others.